Two hundred and thirty-eight students graduated from the University of Maine at Presque Isle on Saturday, May 12, during the 2012 Commencement Exercises – the University’s 103rd Commencement ceremony. 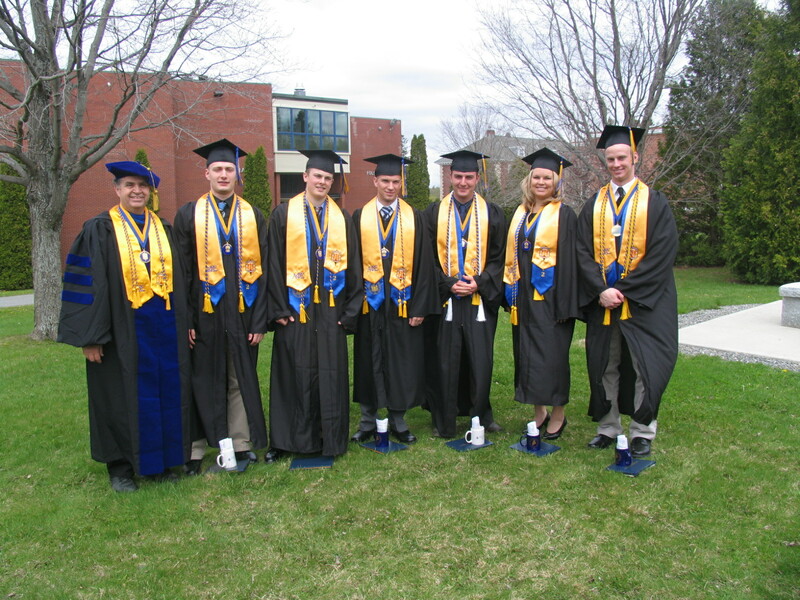 President Donald Zillman conferred degrees for the 2011-2012 academic year upon 161 students who participated in the ceremony held in Wieden Gymnasium. Laurie Lachance, President and CEO of the Maine Development Foundation, addressed the graduates as this year’s commencement speaker. During the graduation event, Lachance was presented with an Honorary Doctor of Humane Letters Degree. Lachance has led the Maine Development Foundation [MDF], a highly-regarded non-profit membership organization established in 1978, for eight years. In her role as President and CEO, she provides overall leadership, guidance, and direction as MDF delivers several statewide programs, including Leadership Maine, Policy Leaders Academy, the Maine Downtown Center, the Maine Employers’ Initiative, and the Maine Economic Growth Council. Prior to her work at MDF, Lachance served as the Maine State Economist in the State Planning Office for Governors McKernan, King and Baldacci (1993-2004). She has been honored with the Kennebec Valley Chamber of Commerce Community Service Award in 2011, the Maine State Chamber of Commerce’s President’s Award in 2010, and has been a Margaret Chase Smith Distinguished Policy Fellow. Lachance recently was named the new President of Thomas College. During UMPI’s commencement exercises, University of Maine System Chancellor James H. Page and Samuel W. Collins, Vice Chair of the UMS Board of Trustees, delivered greetings. Stephen D. Richard, UMPI Board of Visitors Chair, and Keith Madore, UMPI Director of Alumni Relations, offered remarks on behalf of each organization, respectively. A dozen members of the University’s Class of 1962 were present and recognized on their 50-year milestone. In addressing the graduating class and the hundreds gathered for the event, President Zillman focused on the dedicated efforts of faculty, staff and students to conduct research and work that directly benefits the community. “As I look back on the last half dozen years, I’m delighted with the ever growing campus connectedness of the University of Maine at Presque Isle with its community,” said President Zillman. 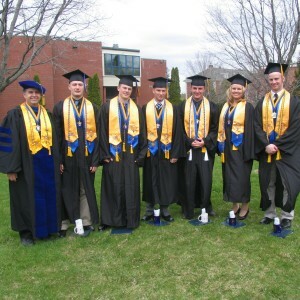 Among the work and projects he noted were the partnerships the University has been able to develop with Balance BPO and TxVia, the relationships it has been able to build with local business organizations through its Young Professionals Institute, the educational connections it has been able to make with the Maine School of Science and Mathematics, and the collaborations it has been able to establish with the arts community through the Wintergreen Arts Center. He also touched upon the Fit and Fun days Physical Education majors put on for area youngsters, the GIS mapping projects that benefit everything from local governments to tourism organizations, and the research Criminal Justice majors have done to help the Presque Isle Police Department study theft from motor vehicles in the city. A reception for graduates, family and friends was held in the Campus Center immediately following the ceremony.